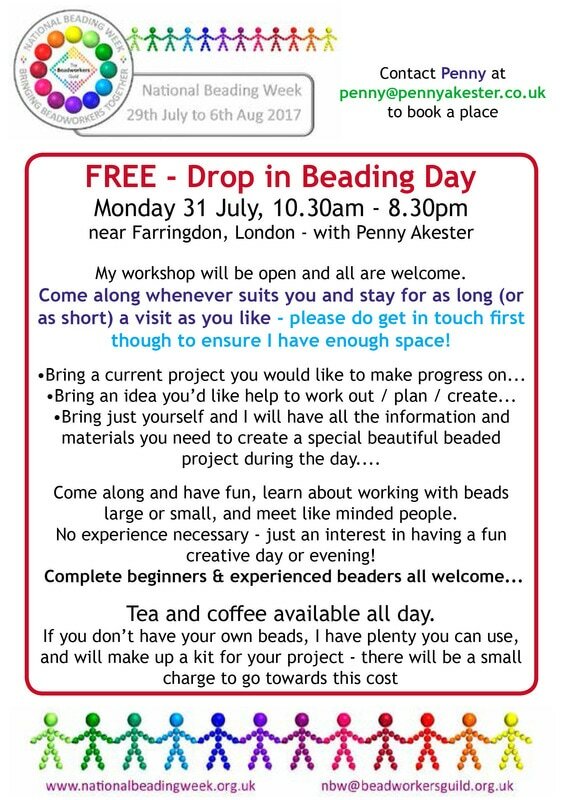 I am hosting a FREE special event - a drop in beading class - Monday 31 July in my workshop at Craft Central (just 5 minutes from Farringdon tube station). Come along whenever suits you and stay for as long (or as short) a visit as you like - please do get in touch first though to ensure I have enough space! 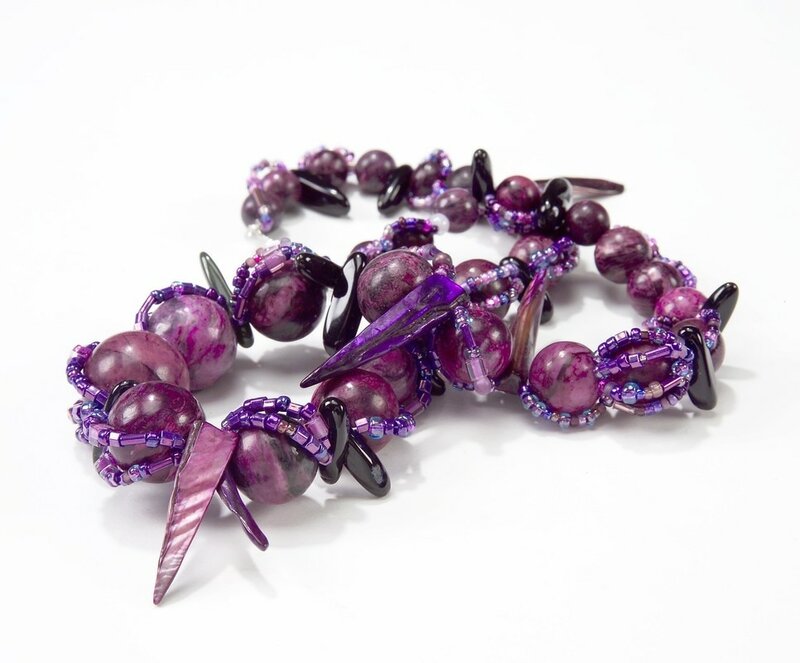 Come along and have fun, learn about working with beads large or small, and meet like minded people. No experience necessary - just an interest in having a fun creative day or evening!